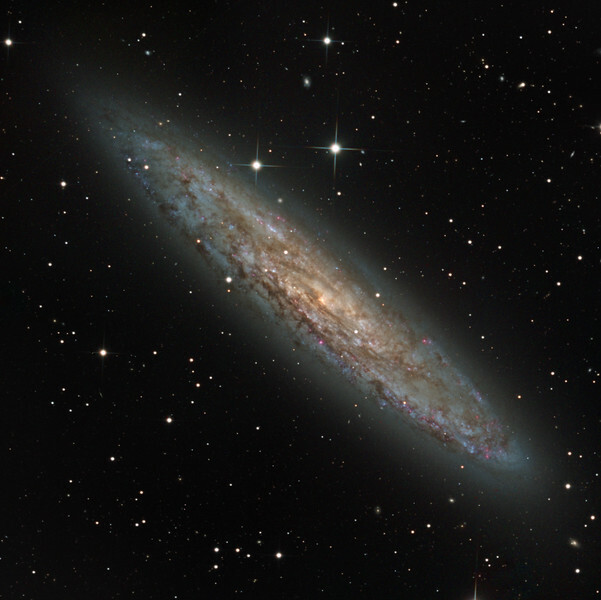 Another gentler attempt at processing NGC 253. Best 5 of 7 1hr luminance frames plus 1hr each 2x2 binned RGB. No wavelet sharpening.